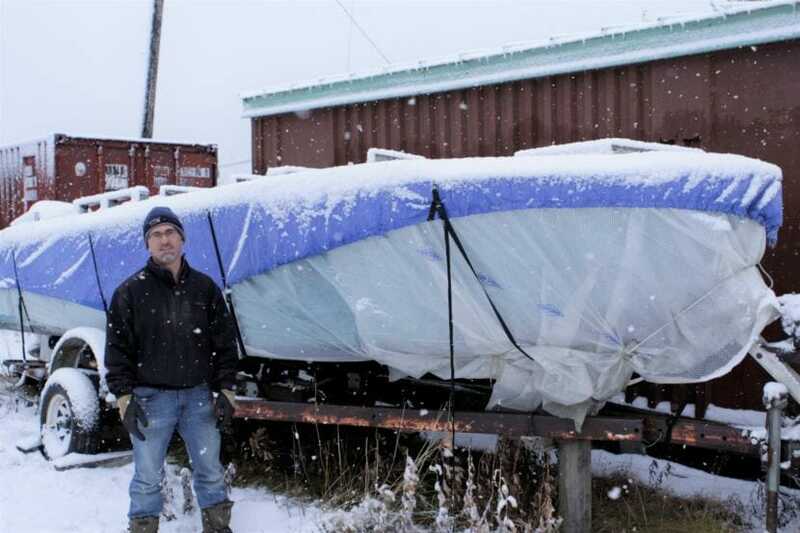 Seth Kantner stands next to his fishing boat outside his home in Kotzebue. Kantner caught twice as much salmon this past summer than in his previous best year fishing. Alaska fishermen haven’t been having an easy time with the changing climate. The cod population in the Gulf of Alaska is at its lowest level on record. 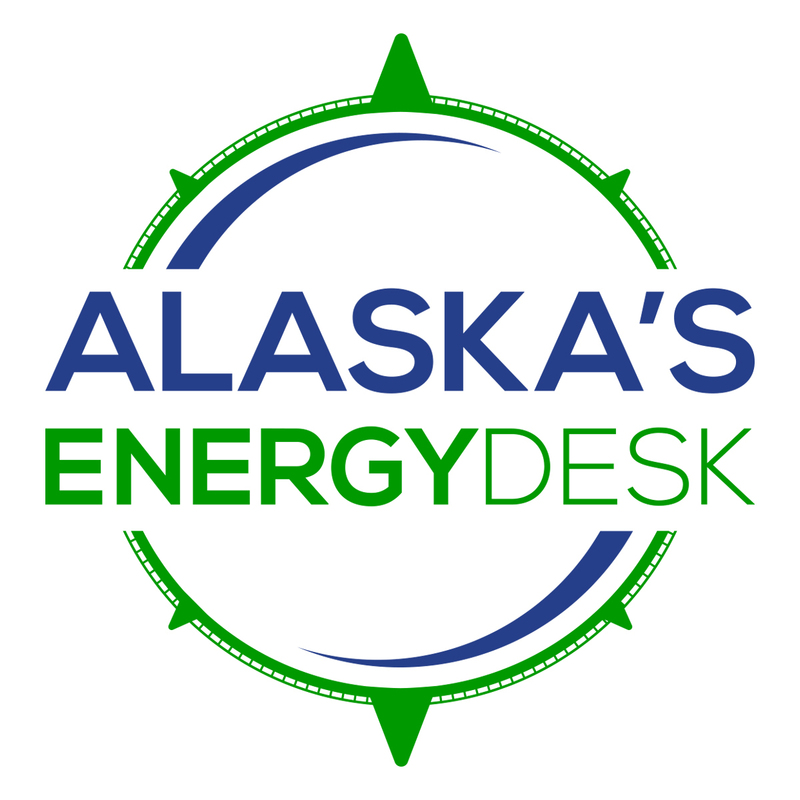 Officials have declared disasters after the failure of multiple Alaska salmon fisheries. So what’s happening farther north in Alaska might surprise you: Fishermen there have been landing huge catches, in numbers that haven’t been seen in decades. Seth Kantner is one of them. He was raised in a sod igloo 150 miles from the Northwest Alaska hub town of Kotzebue, and has been commercial fishing for chum salmon in Kotzebue Sound for decades. He’s also a writer, and in an interview from his pickup truck looking out over the sound, he said he’s a little apprehensive about some of the changes he’s been seeing in the region — particularly in the weather and the seasons. Just to be clear — Kantner said that two summers ago, he caught more fish than he’d ever caught before. And then this summer, he caught twice that much again. Salmon fishing in Northwest Alaska isn’t nearly as lucrative as the big commercial harvest in places like Bristol Bay. But there are more than 200 active commercial permit holders in the region, with gross earnings of more than $4 million last year. And Kantner isn’t the only one who’s been doing well. This year’s commercial harvest of chum salmon in Kotzebue Sound was nearly 700,000 fish, breaking a record nearly four decades old. To the south, the value of the commercial salmon catch in Norton Sound was also the highest ever. One example was on the Nome River outside of that town. Menard said that in the past, a good pink salmon run was about 1 million fish. This year there were more than three times that. Menard described looking into the river and seeing a solid black wall of salmon. “I’d be throwing out my fishing line trying to reel it across and be snagging a pink in the back. You know, you’re not even trying to catch anything. There’s just so many pinks,” he said. Menard said he thinks that relatively warm winters are helping fuel the region’s strong salmon returns. And in the nearby Chukchi and Bering seas, where the fish spend time before spawning, temperatures have been way above average in recent years. Scientists caution against linking a single year’s conditions, or even a several-year-long stretch, to climate change. But they also say that ocean temperatures are expected to gradually rise due to global warming, with sea ice expected to diminish. Those warmer ocean temperatures are more hospitable to species like sockeye and pink salmon, as well as chums, which are the commercially caught fish in Kotzebue, according to Ed Farley, a federal fisheries biologist in Juneau. That’s because when the water is warmer, there’s more abundant food for them, like certain types of plankton and small fish, he added. You might think Kantner, the Kotzebue fisherman, would be excited about the warmth and his big harvests. But he said his feelings are a lot more complicated, in part because his lifestyle revolves around much more than fish. “Because I like ducks and caribou and salmon, and I’m worried something might happen where they just can’t deal with it, and then we don’t have them any more,” he said. And while global warming might be better for salmon fishing, it’s also likely to make for scarcer ice — an essential platform for winter transportation in the region. Kantner said it’s hard to get excited about more fish when there are so many other things he could lose.